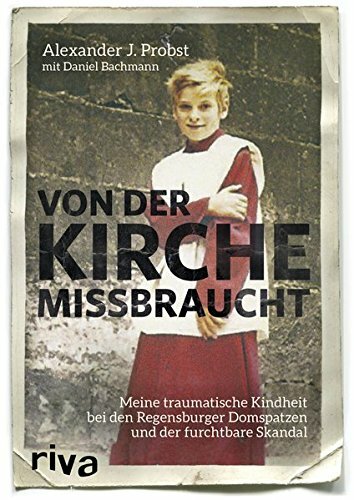 In the Catholic boarding school of the world-famous Regensburger Domspatzen, Alexander J. Probst suffers the most terrible fate that can happen to a child: at the age of only eight, he is abused repeatedly. Abused by those who preach virtue. Among those responsible: choir master Georg Ratzinger, brother of the later Pope Benedict XVI. It’s not until Alexander discloses the church’s doings to his father at the age of eleven that he is disburdened. For many years he suppresses the trauma he suffered, breaks down however shortly before his 50th birthday. He decides to demand justice. Yet again, he suffers a trauma - this time by the church’s denial and slander. But Alexander J. Probst does not give up and forces the church to come to the round table. In this book and as the first victim, he reveals is his entire history of suffering with all its implications. Relentless and stirring, he sheds light on the entire scandal that destroyed over 400 young lives between 1953 and 1992.